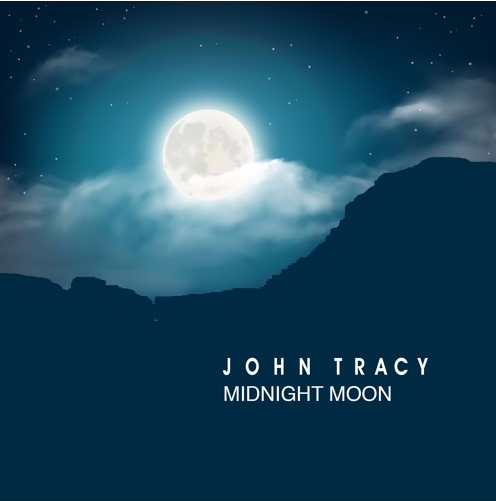 Today’s song comes from one of JOHN TRACY‘s recent releases, entitled ‘ Midnight Moon’. The ‘performing songwriter’ from Virginia has built a solid reputation for combining lyrics reflecting real life with heart-wrenching soundscapes of folk, blues, acoustic rock and soul. He’s a national charting artist with two singles from his 2016 album ‘Happy Ever After’ breaking the top 10 on the US FMQB AC Chart, as well as playing on radio and syndicated shows across the UK and Europe. John’s music videos have attracted attention from all over the music video programming spectrum in the US and Canada. So far, JOHN TRACY has released three singles this year entitled ‘I’ve Got To Find Myself’,’ The Shallow Game’ and ‘Midnight Moon’. However it was ‘Midnight Moon’ that make it to today’s hotspot as Tracy’s folk/soulful vocals inject full-on passion to the soothing trademark, which somehow leaves you inspired and full of hope. It goes without saying that this folkser produces real music for real life – so I highly recommend you have a listen to ‘Midnight Moon’ – simply beautiful.